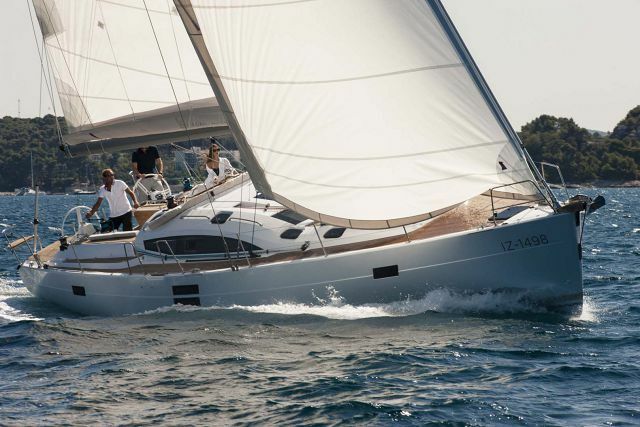 The Elan Yachts Impression 45 is in every way an exquisite cruising sailboat. 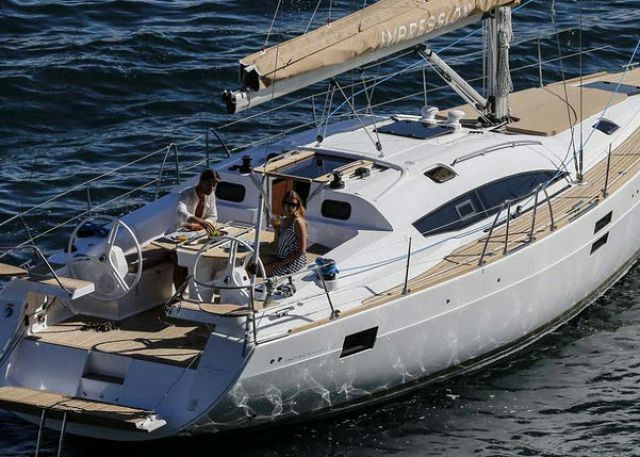 Developed to satisfy the needs of even the most discrening yachtsmen, the I45 is perfect for cruising vacations, whether it is the Pacific Northwest, the Caribbean or on a blue water crossing. 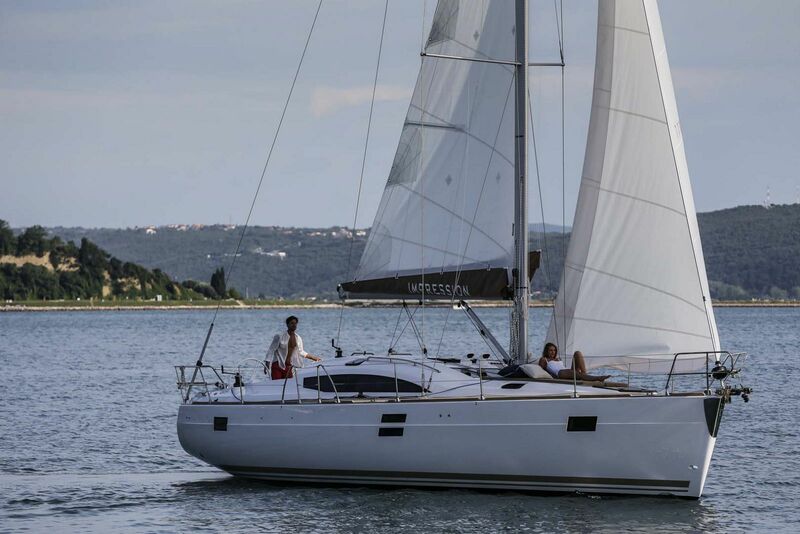 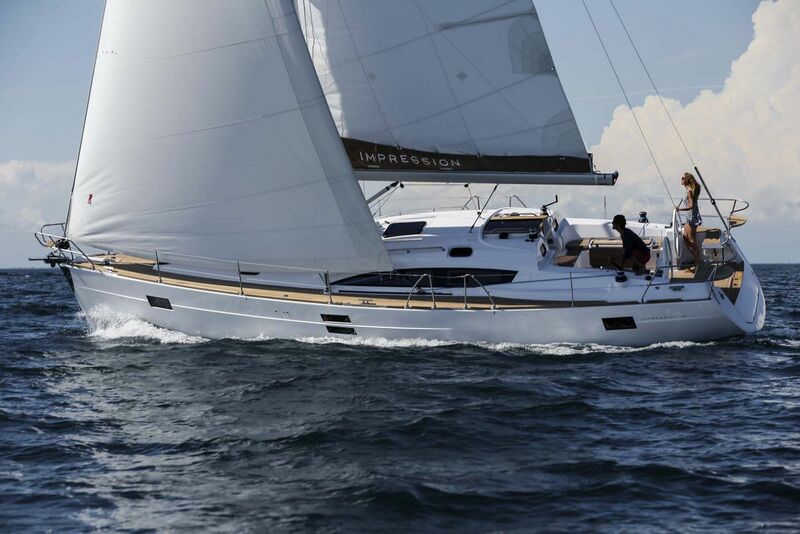 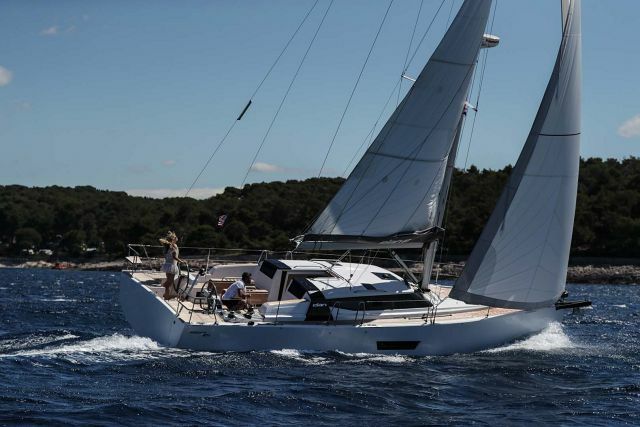 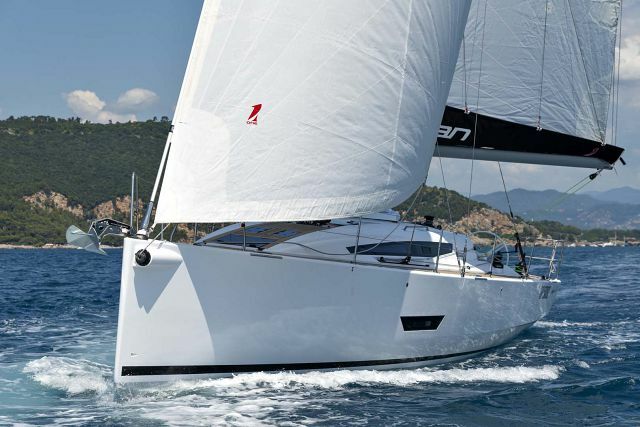 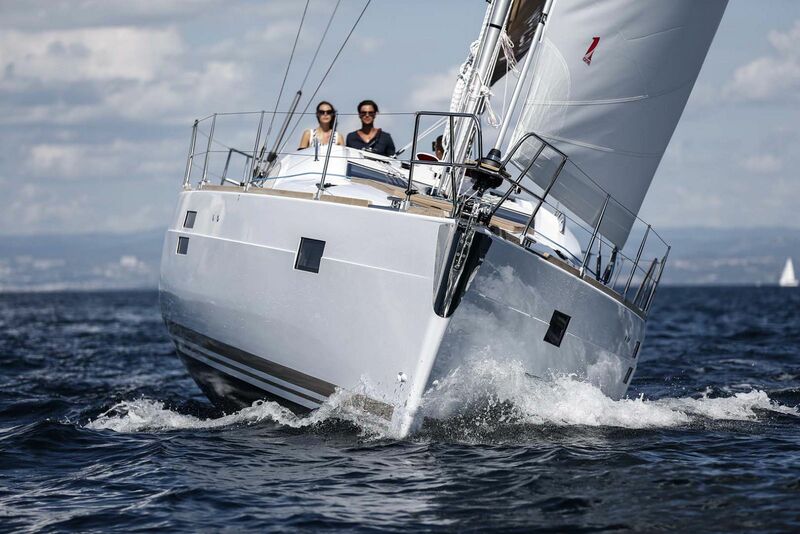 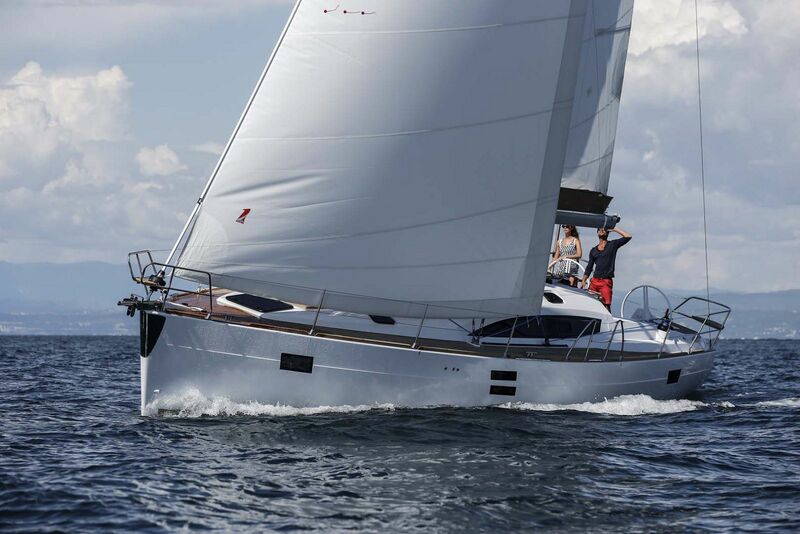 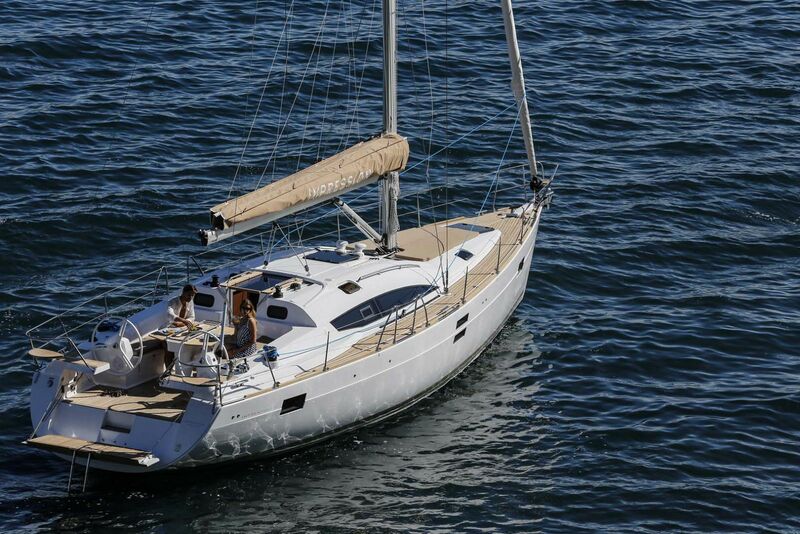 Designed to ensure maximum comfort the Impression 45 is a dream to sail as well. 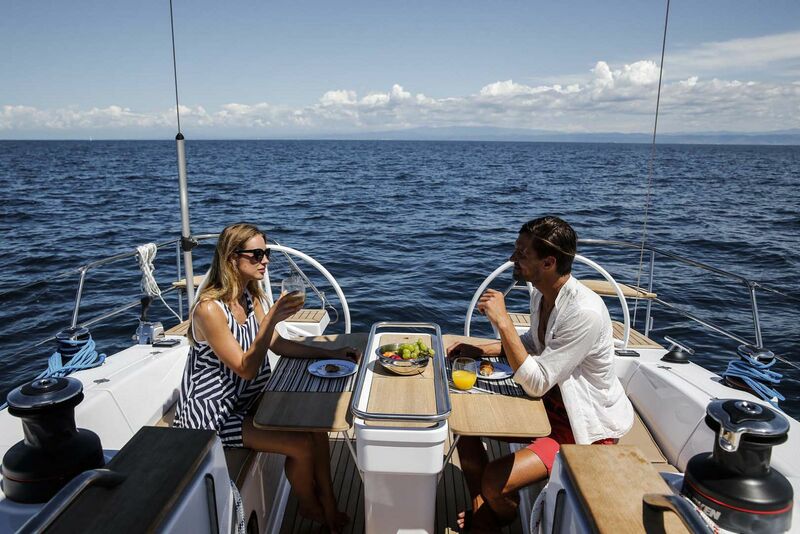 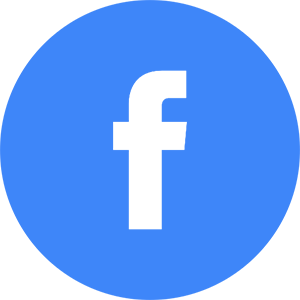 Elan Yachts puts a tremendous amount of effort into the ownership experience so every detail is well executed for both sailing and relaxing at anchor. 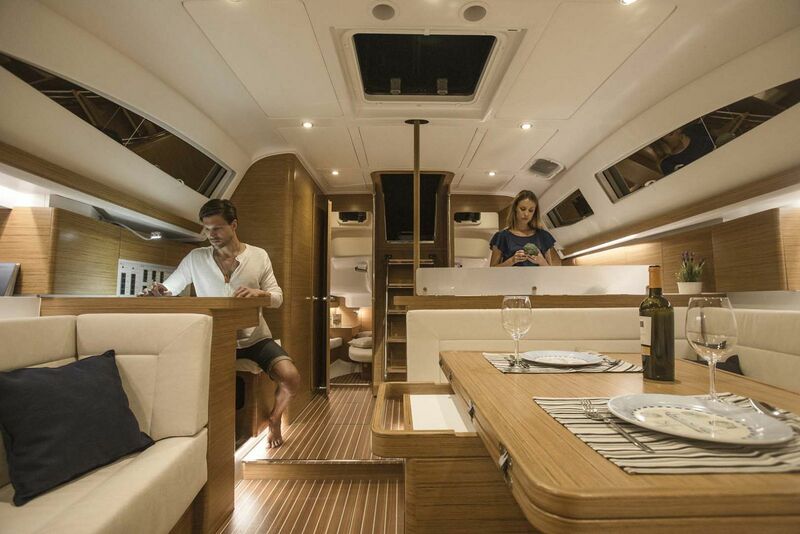 The interior of the Elan Impression 45 is at the top of its class, from the spacious open cockpit with its large seating area all around the cockpit table, to the wide passage way forward where plenty of space for sunbathing awaits. 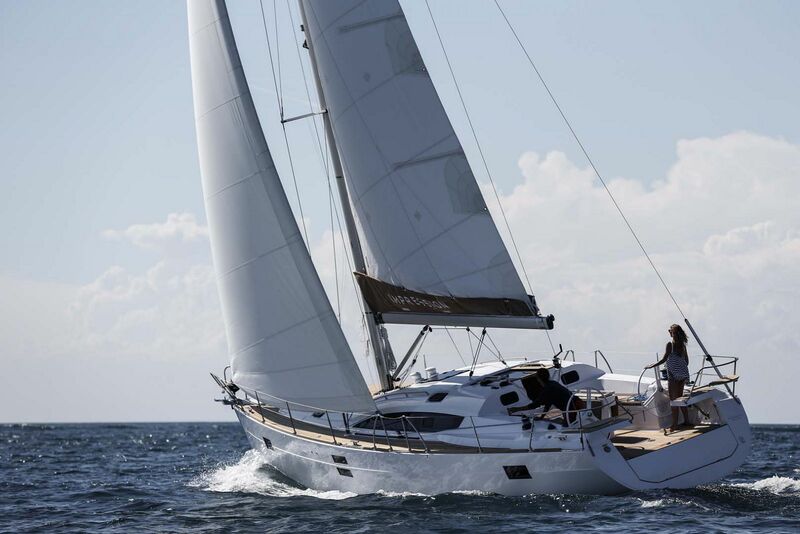 Twin wheels offer excellent steering positions for the helmsman while the wide transom ensures easy access to the bathing platform which is available in two sizes, the larger of which closes the cockpit fully during sailing. 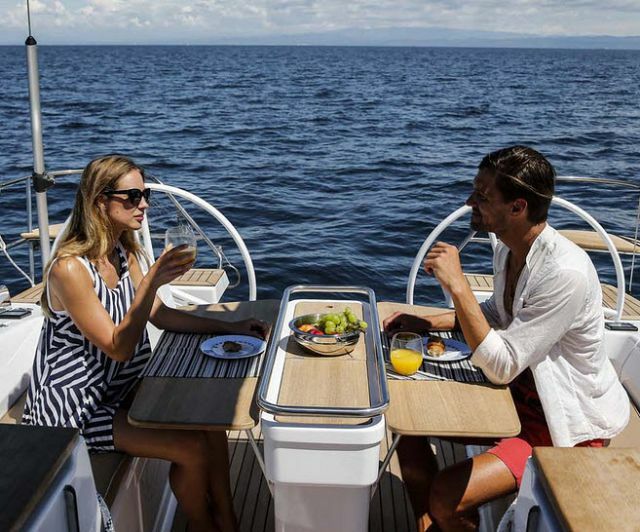 The Elan Impression 45 offers a bright and airy interior due to the large windows that line the deck salon on both sides. 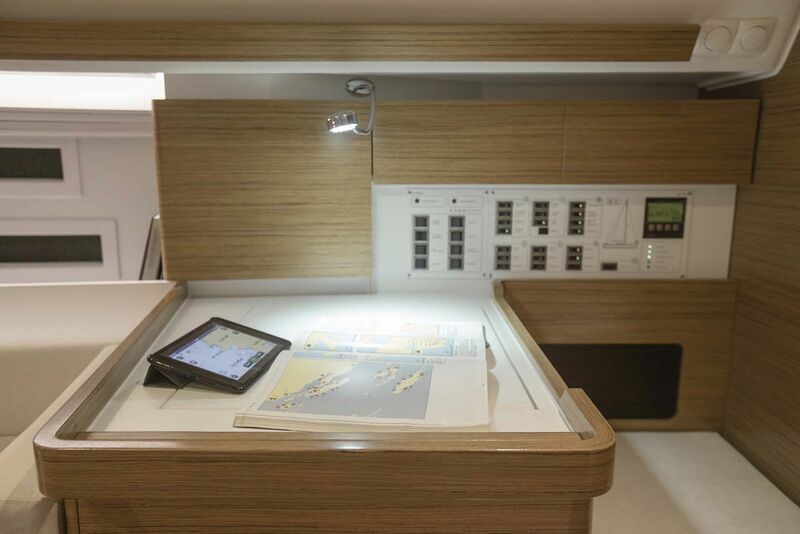 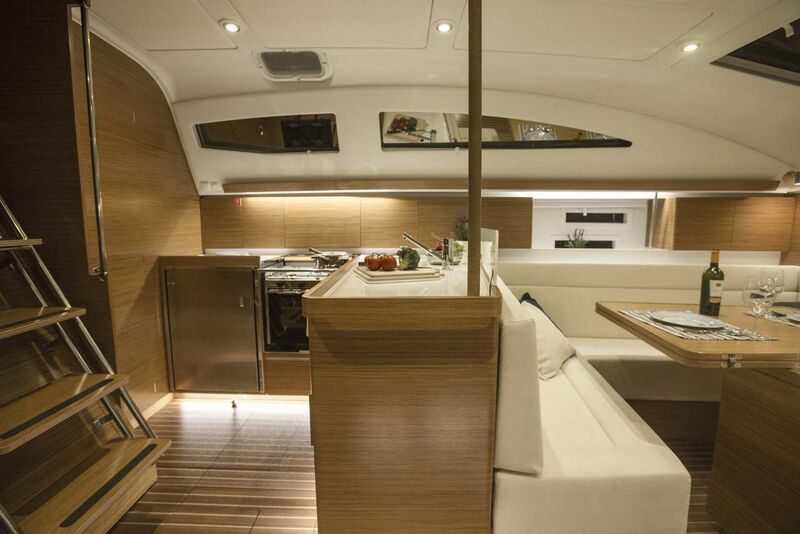 The salon features a large U-shaped settee to port and an additional settee to starboard enabling her to seat multiple people comfortably around the table.The interior also includes a fixed chart table with seat and a spacious L-shaped galley with the front opening refrigerator. 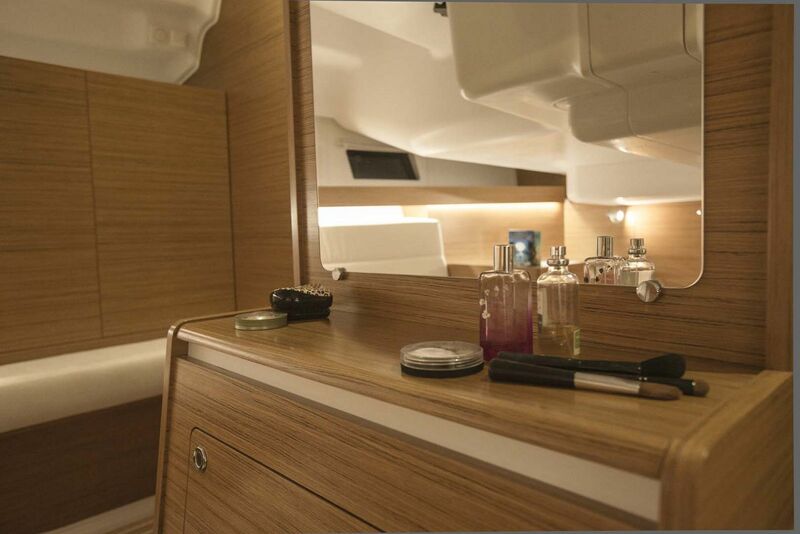 Interior layouts include two to four cabin options all with two heads compartments, one of which has a separate shower. 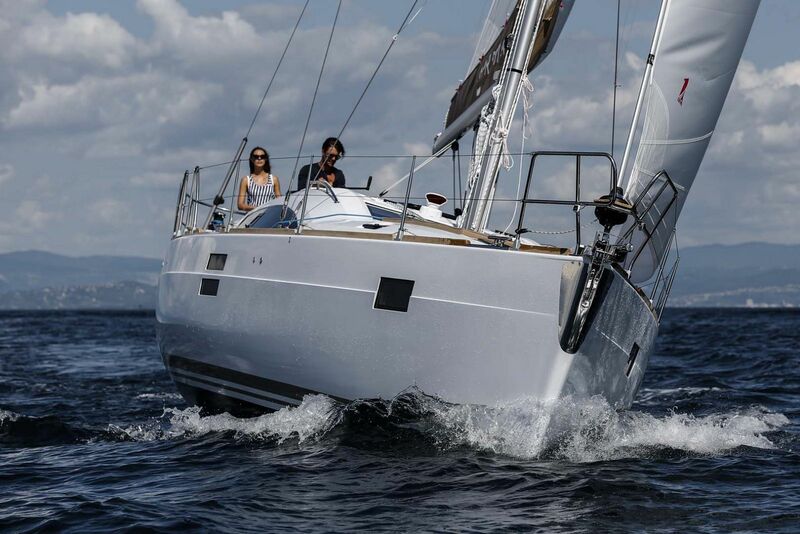 If you would like to learn more about the Elan Yachts Impression 45, please contact your Seattle Yachts Sales Professional today. 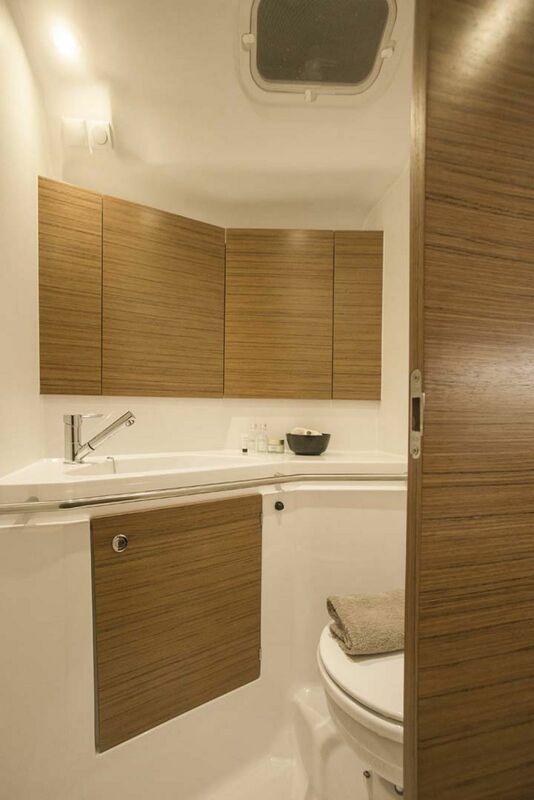 Water Tank Capacity: 136 Gal.